Nostalgic flavor, thin and crisp texture. Potato chips with real food ingredients. Ordinary Maine Sea Salt. 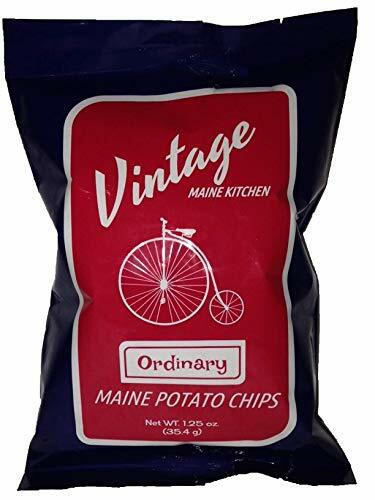 Vintage Maine Kitchen makes small batch chips the way old New England family chippers always have. We source only the finest Maine grown spuds. We slice 'em wicked thin, fry 'em til they're crispy and give 'em a generous dusting of Maine Sea Salt. It's that simple, the way food should be. 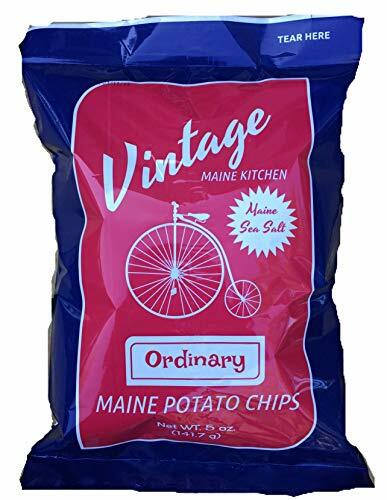 This package includes 5/5oz bags of Ordinary Maine Sea Salt Potato Chips. Nostalgic flavor, thin and crisp texture. Potato chips made from real food ingredients. Thankful is our New England Thanksgiving inspired chip. They're generously dusted with Maine Sea Salt and a spice blend that's reminiscent of Mom's stuffing to deliver a unique but familiar flavor. Vintage Maine Kitchen sources only the finest Maine grown spuds. We slice 'em wicked thin and fry 'em til they're crispy. It's that simple, the way food should be. 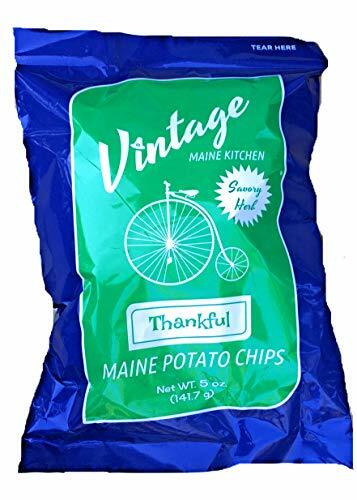 This package includes 5/5oz bags of Thankful potato chips. Nostalgic flavors, thin and crispy texture. Potato chips made from real food ingredients. ORDINARY is dusted with Maine sea salt. 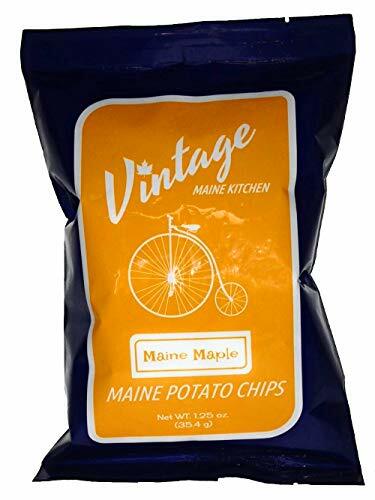 MAINE MAPLE is salty and sweet like the kettle corn of potato chips. COOKOUT is dusted with applewood smoked Maine sea salt and cracked black pepper. THANKFUL tastes like Mom's New England Thanksgiving stuffing. Vintage Maine Kitchen is a small family owned business and we proudly source our ingredients from other local food producers. 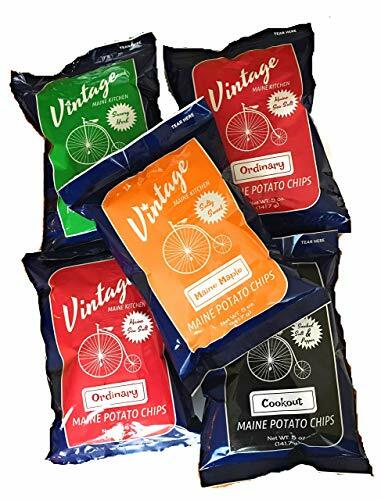 Our chips are made in small batches and hand packaged in Freeport ME. 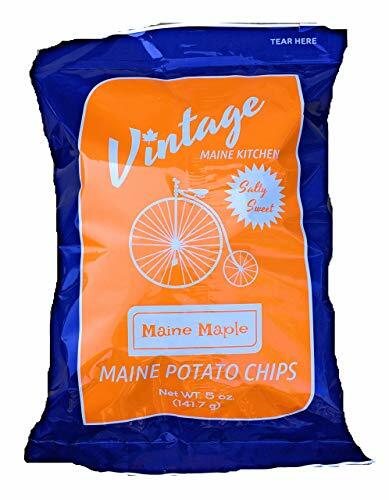 This package includes 5/5oz bags of Maine potato chips. 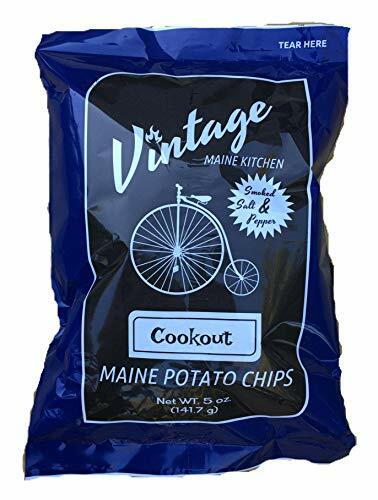 2 bags Ordinary, 1 bag Maine Maple, 1 bag Thankful, 1 bag Cookout.